I used to hate it when I saw flying creatures in No Man’s Sky! I thought that they are impossible to scan and identify, therefore making it impossible for you to get that nice money bonus from discovering everything on a planet. In some cases, it’s even more frustrating than the No Man’s Sky crashes and problems that we talked about earlier today. I remember that early on I spent over an hour searching for their nest, climbed on mountains and cursed at them using the little Gek language knowledge that I had… but nothing seemed to work. Yup, that’s not really the first rule in the book of interplanetary travel and discovery, but it does work like a charm. Aim at one of those alien birds and shoot them down! Your multitool can easily scan corpses as well, so there’s no problem about that! The only problem might come from the fact that you might need some upgrades to your multi tool in order to have the required range to bring them down. Alternately, you can spend some time finding a high enough point (there should be some sort of mountains or hills around somewhere) and shoot them down from there. I know it’s not an ideal method, but it works! Another method that works well when it comes to identifying flying creatures in No Man’s Sky is trying to identify them from a distance. If you are far away from them, the crazy movements they make will become less of an annoyance and you will be able to spend enough time focused on them to warrant you the discovery. So just get a bit farther away from them and zoom into them once or twice. With a bit of luck, you will identify them the peaceful way. If this doesn’t work, shooting always does. Guaranteed! 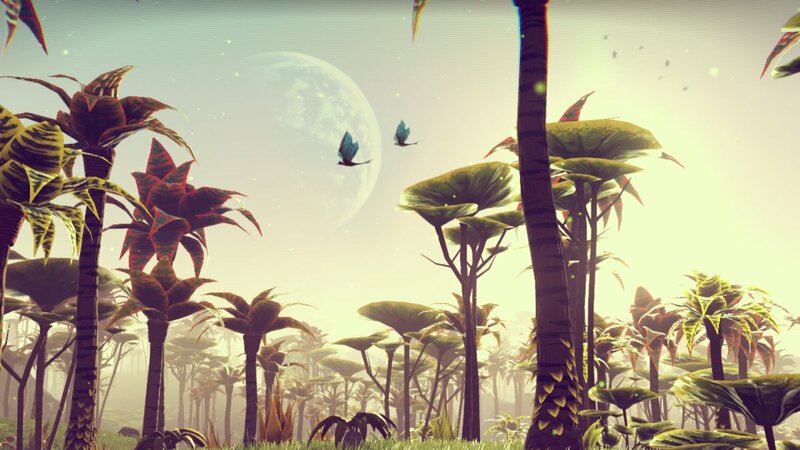 Did you find a different way to scan the flying creatures in No Man’s Sky? If so, let us know how you did it by commenting below!